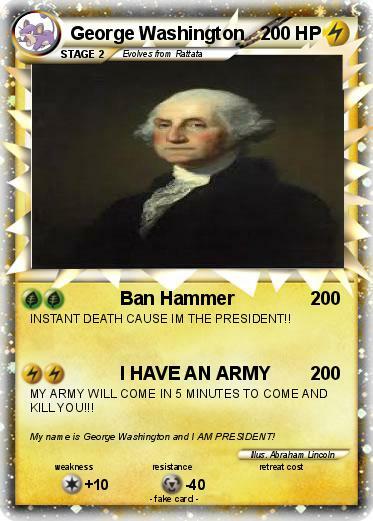 INSTANT DEATH CAUSE IM THE PRESIDENT!! MY ARMY WILL COME IN 5 MINUTES TO COME AND KILL YOU!!! Comments : My name is George Washington and I AM PRESIDENT!